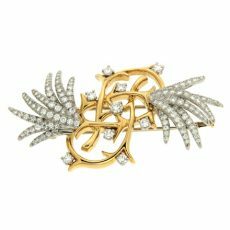 In addition to jewelry, Valentin Magro offers loose diamonds for sale. 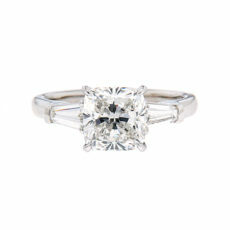 They come in a variety of cuts shapes and sizes, from the classic round brilliant to modern cuts such as the princess. All of our diamonds are certified by the Gemological institute of America. 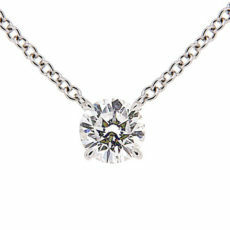 Many of these loose diamonds are featured on our website for your perusal. Purchasing loose diamonds allows for flexibility. 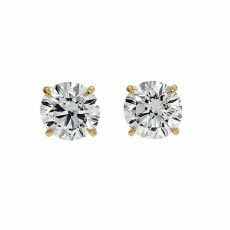 If one has trouble finding the diamond jewelry they desire, they can start with loose stones. Sometimes finding the right jewelry begins with finding an attractive gem. The jewelry can then be planned around the jewel. Many factors that go into creating diamonds so they are suitable for diamond rings and other jewelry. Not only must the diamonds be mined and checked for provenance, the stones are also examined to see if they are suitable for jewelry or other purposes. 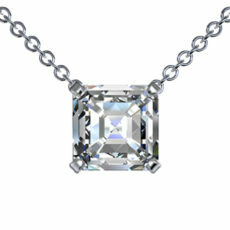 Jewelry grade diamonds are then faceted to bring out the brilliance and luster they’re celebrated for. With all the work and the many hands that a diamond must go through, some people enjoy the peace of mind that comes with certification, attesting to the quality of the stone. 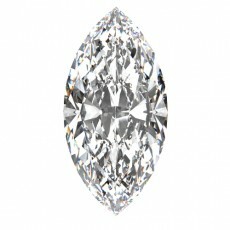 Many diamond lovers know about diamond cuts, and how a beautifully cut diamond lights up the interior of a stone. It’s not uncommon for a person to have a favorite cut, be it a heart, an emerald or an oval. However, it’s also important to remember that there is a difference between the cut of a diamond and its shape. The former refers to faceting and how it makes the brilliance and clarity of a stone come to life. The other refers to the outline of a jewel. 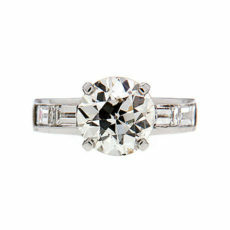 The most common cut is the round brilliant, which provides most of the round diamonds on the market. Everything else, from heart to cushion, is known as a fancy shape. 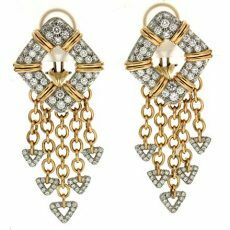 Valentin Magro offers diamonds in square, rectangular, triangular, heart, oval, marquise and pear shapes. To learn more about diamond shapes and find which ones appeal to you, please continue reading. A diamond is a mineral consisting of over 99.95% crystalized carbon, its atomic structure making it the hardest natural substance known to man. They form between 75 and 120 miles below the earth’s surface, where the temperature and pressure are powerful enough to form this unique gem. Volcanic eruptions from over 50 million years ago sent these stones to the earth’s crust. 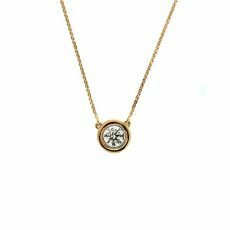 Conflict Diamonds are stones which are mined under duress, by men, women and children who are forced into service by rebels. 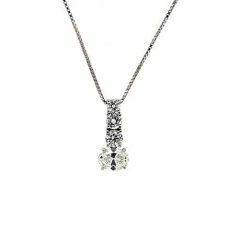 Once these diamonds are produced, they are sold to raise funds for weapons and activities that oppose internationally recognized governments. The miners of these gems receive no benefits, but must endure horrible experiences. After a diamond is processed into its final form, it is analyzed via a system where it is graded by Cut, Clarity, Color and Carat. 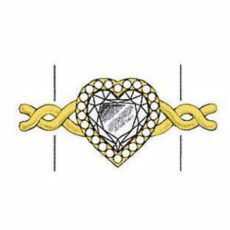 Together, they are known as the 4 Cs, a system created by the Gemological Institute of America (GIA) to give jewelers an objective and uniform method of evaluating diamonds. Each of the 4 Cs is connected with a list of grades to determine what is optimal, poor or in between. The GIA states that items of great value often come with documentation verifying their worth, and jewels should be no different. 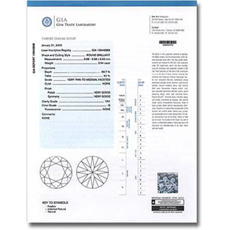 A report describing what your diamond is like would help add to its significance and ability to be identified. Continue reading for a more detailed explanation on the 4 Cs of a diamond. Transforming a rough diamond into a faceted gem is a complex process. Specialized words help explain parts of a finished diamond and how they come together to make a beautiful stone. Diamonds are prized for their ability to reflect light. This is most celebrated in brilliant cut diamonds, which combine brilliance, fire and luster to showcase the jewels bright qualities. 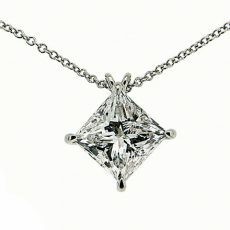 While step cut diamonds aren’t as bright, they still showcase the beauty of the diamond crystal. 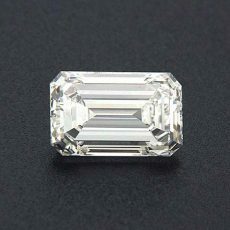 Step cut diamonds are square or rectangular diamonds with a faceting style distinct from brilliant cuts. Their tables and culets, or upper and bottom most facets, are broad while other facets on the jewel are downplayed. Facets sit parallel to one another, emphasizing a geometric look. The interior of the diamond is highlighted, with less brilliance to distract from the view. 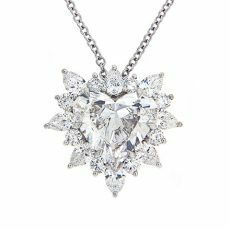 Scintillation is a type of light that appears in diamonds. Unlike brilliance, which is the white light which illuminates a diamond, and fire which is the jewel’s prismatic light, scintillation is the contrast of light and shadows within the diamond. 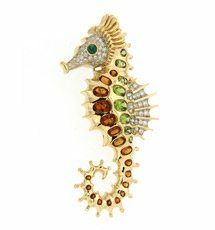 When mounted in jewelry, scintillation makes the gemstone sparkle as the wearer moves. 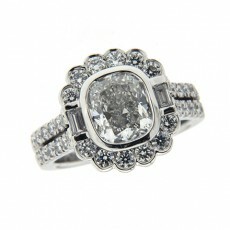 Diamonds are known for how they interact with light, which in turn influences qualities such as color, clarity and cut. The many aspects of diamonds with light can make evaluation a challenge. During diamond grading, many aspects of the stone are examined. 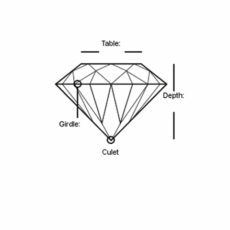 The size of the table in relation to the girdle perimeter is considered as are the angles of the upper and lower halves of the jewel. How the diamond takes in and reflects light is also taken into account. While it’s listed as a grade separate from cut, symmetry too carefully considered. 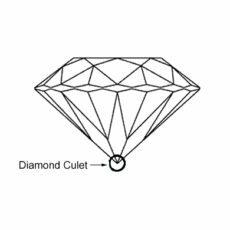 Depending on the cut, a diamond can have a pointed bottom, or a flat lower facet parallel to the table, known as a culet. Its purpose is frequently utilitarian, preventing a potentially vulnerable tip from chipping. Baguette diamonds are small slender jewels. They are step cut, with a focus on luster rather than brilliance. Baguettes come in two forms, a perfect rectangle and one with sloped sides. 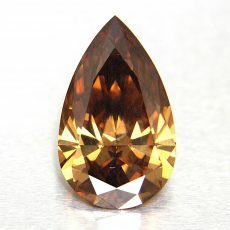 Side stones are jewels, commonly diamonds, which are used to flank the sides of a central gemstone, which is often the largest gem in the design. 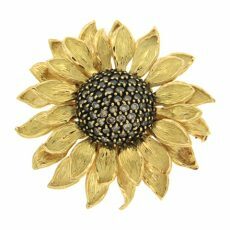 They’re most common on rings, though side stones may be found on pendants, brooches and other pieces of jewelry. 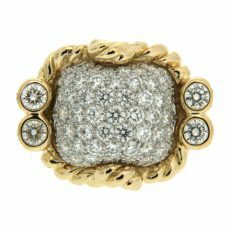 Depending on the design, they may be the only embellishment on the ring, or may be accompanied by halos, pave sets and other decorative techniques. 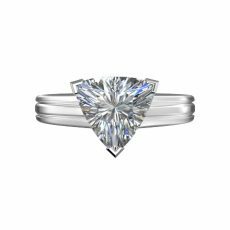 Princess cut diamonds are a relatively new addition to the world of diamond cuts. When they first came out is unclear, but they were in circulation by the 1980s. The diamonds used at Valentin Magro are certified by the Gemological Institute of America. Each of these gemstones come with a report detailing the qualities of its jewel. GIA certified diamonds also come with unique identification numbers, making verification easier as well as distinguishing individual diamonds from one another. To ensure our clients receive reliable information regarding their certified diamonds, we use an independent third party laboratory. This step ensures that there’s as little bias as possible with the diamond grading. We want the best for your clients, which includes honesty. 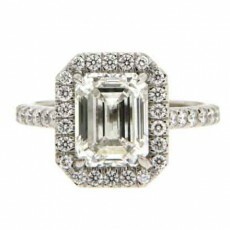 Emerald cut diamonds came to us in the 1500s when lapidaries accidentally stumbled upon this cut when shaping emeralds into rectangular cuts. The stepped facet, which is originally a reminder of the Aztec temple architecture was so loved by the people, that stonecutters started shaping other stones in emerald cut, diamonds being one. 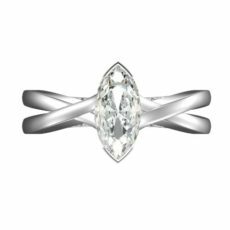 Marquise diamonds have an oval shape with pointed, rather than blunt ends. They’re said to originate in the mid-18th century, when a French king asked for a diamond in the shape of his lover’s mouth. Marquises are still worn today for diamond engagement rings and wedding bands. Much of their appeal comes from their uncommon shape and flirty origins. The Gemological Institute of America aims to be as precise as possible when it comes to certified diamonds. Jewels are placed in uniform packaging before arriving at the laboratory to reduce factors that may skew the grading process. 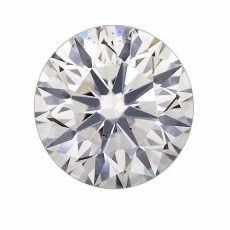 The Gemological Institute of America developed the concept of the four Cs of carat, clarity, color and cut to create an objective standard for certified diamonds. For a diamond to come to your hands, it must go through many steps. They’re formed 90-120 miles below the earth. Volcanic activity brings the jewels to the earth’s surface. Traditionally diamonds were mined in India, Brazil and later South Africa. Today’s loose diamonds are produced on five continents. No two diamonds are exactly alike. Differences may be as dramatic as step and brilliant cuts. Others are subtle, such as slightly steeper tops. Diamond engagement rings and wedding bands often have multiple jewels. Like diamonds, graphite is made solely of carbon. At the molecular level, both minerals are made of a series of dual pyramids connected in a lattice structure resembling a honeycomb. Regardless, the two are unlikely to be mistaken for one another. When most people think of diamond color, white is the first thing to come to mind. Others might consider the various shades of yellow or brown, so subtle they must be detected by trained eyes. Still more may imagine famous colored jewels like the Hope Diamond. 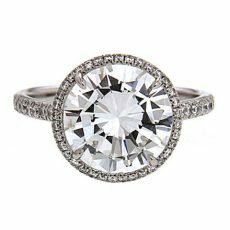 From central gems to halos, side stones and other features, round diamonds are everywhere on engagement rings. 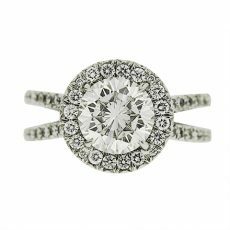 The circular round brilliant is especially popular, but other cuts are also enjoyed. These diamonds are not only versatile, but showcase different forms of brilliance. Triangular diamonds are commonly used as side stones on diamond rings. 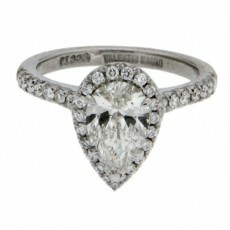 Those who enjoy less conventional diamond engagement rings may choose one as their central jewel. There is no one way to wear a triangular diamond. Likewise, there is no single method to cut them. Even their outlines vary. 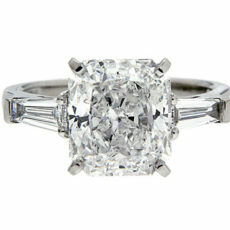 Cushion cut diamonds are the newer edition of vintage diamond cuts. 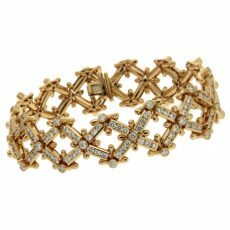 For centuries, cutters have played with shape, facets and proportions, looking to fill jewels with brilliance. 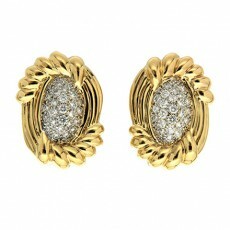 Some of these styles remained popular, others gave way to stones like the round brilliant. Buying a diamond can be a tricky process. One must weigh the jewel of their dreams with the realities of availability and budget. A person may compromise with a moderately tinted stone or one with an inclusion or two more than planned. Sometimes a consumer will encounter a boon in the form of a high quality diamond for a reasonable price. This may seem too good to be true. 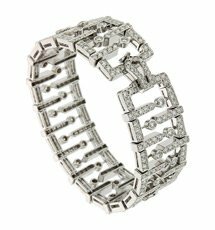 Baguette diamonds are small thin diamonds rectangular in shape with straight or sloping sides. 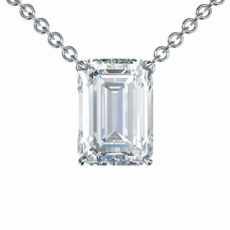 The jewels are step cut, emphasizing color, clarity and luster over brilliance. 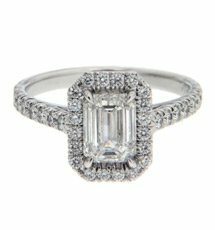 Baguettes are a popular cut for diamond rings, often appearing as accents. Other designs use them as the primary stone. The Mohs Scale of Mineral Hardness determines a stone’s resistance to scratching. A mineral such as talc may be scratched by anything matching or exceeding its hardness. The higher on the scale a stone is, the less vulnerable it is to abrasions. Diamonds are at the far end, the pinnacle of hardness. At the same time, diamonds are admired for how its cuts draw out its aesthetic properties. Specialized tools are a must for bringing out the best in diamonds. As with many gemstones, diamonds are formed as a result of geological activity. The conditions that leads to the creation of diamonds are very specific, requiring the right environment and materials. They take shape between ninety and one hundred and forty miles beneath the earth’s surface, in the upper mantle. The earth underneath thick, geologically stable landmasses known as cratons provide the intense pressure needed to help diamonds take shape. 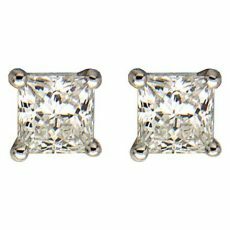 Asscher cut diamonds are jewels developed by the Royal Asscher Diamond Company. They’re step cut gemstones with an unusual design. A single small diamond may not gather as much attention as its bigger counterparts. Several placed together, however, creates a plane of glitter. Melee diamonds are known for the miniscule size and design possibilities for jewelry. 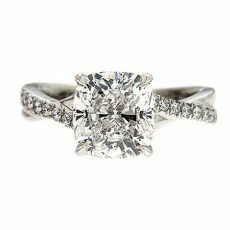 Whether it’s unique engagement rings or classic styles, they help diamond bands shine. Most designer engagement rings have a single stone that serves as its focus. 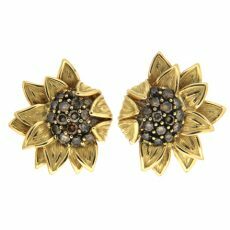 While this jewel may be left as is, many styles add more gems for extra shine. 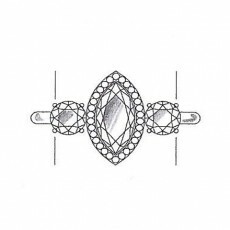 Side stones are diamonds mounted on the shoulders of the ring and flank the main stone. 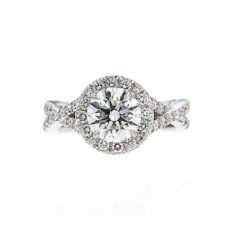 Brilliant cut diamonds help the ring glitter. Radiant cut diamonds are young, debuting in 1977. They’ve since been admired for their concentrated brightness. In rare instances, jewels are recut into radiants to improve their brilliance or other qualities. Step cut diamonds stand out from their brilliant counterparts by their shine. The latter illuminates the stone with a mix of white light, shadows and bits of rainbow. 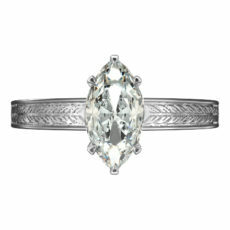 Step cut diamonds focus on light reflecting off the jewel’s surface and present a view of the stone’s interior. Light helps to draw out the aesthetics of a diamond. 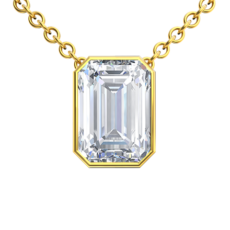 A well-made cut showcases the beauty of the jewel by encouraging light to illuminate the diamond, split into many hues, and sparkle for the pleasure of the viewer. Not all forms of lighting are equal. Different types have varying concentrations that underscore specific diamond traits. Side stones are jewels which flank a larger, central gem. For colored gemstone or diamond rings, side stones are usually diamond. They add sparkle as well as greater design possibilities. The number of side stones on a band varies. They can range from a pair, to rows of little jewels traveling down the ring’s shoulders. Step cut diamonds stand out from their brilliant counterparts by their shine. The latter illuminates the stone with a mix of white light, shadows and bits of rainbow. 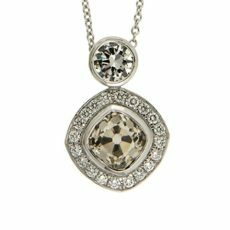 Step cut diamonds focus on light reflecting off the jewel’s surface and present a view of the stone’s interior. 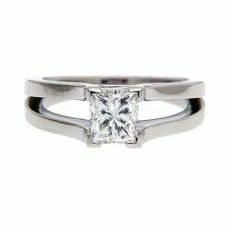 As with brilliants, many step cuts are used for side stones on diamond rings. Rough diamonds are a product of nature, requiring countless years and specific conditions in order to take shape. Still more factors are required to bring them safely to the earth’s crust. From there, it is up to the efforts of people to find the jewels so they may be admired by others. Diamonds are both beautiful and practical. The highest quality stones are usually set aside to be cut and set in jewelry. Less perfect gems and those made in laboratories are frequently used for industrial purposes. Diamonds’ hardness makes them ideal as abrasives, drill tips and cutting instruments. Diamonds are carefully cut so light enters the jewel at optimal angles for brilliance. 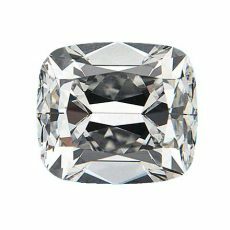 When other matter such as grease or soap cover a diamond, the angle light needs to brighten the diamond changes, but the stone does not. Of all the four Cs of diamond quality, cut is the most complex to grade. This is in part due to the wide range of diamond cuts, and the subjective nature of aesthetics. People may have differing ideas as to what makes a cut beautiful, which in turn can make a verifiable cut grade tricky. Diamonds are admired for their brilliance, durability and romantic symbolism. 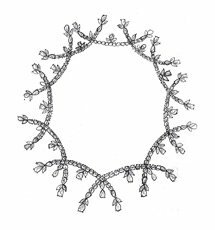 They appear on every imaginable type of jewelry, from bracelets to tiaras. Diamond rings in particular are exchanged between couples as a sign of enduring love. 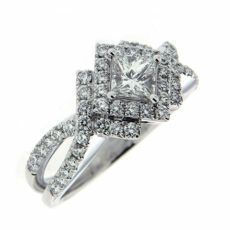 The association with diamond rings and romance is so strong people may feel pressure to find the best possible jewel. While there is no one diamond that’s suitable for all, there are ways to find the ideal stone for you and your loved one. 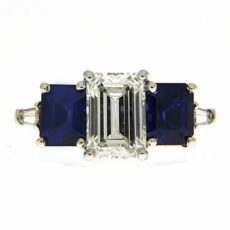 Emerald cut diamonds are rectangular stones with cropped corners. Their top and bottom most facets are broad, providing a view into the crystal. 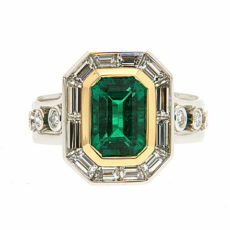 The cut was originally developed for emerald gemstones, to protect the jewel from damage. For diamonds to form in nature, they need the assistance of other rocks and minerals. Some provide the carbon needed to create the jewels, and others serve as a means of transport to bring diamonds to the earth’s surface. Still more stones serve as heralds, alerting explorers to the possibility of diamonds. The chemical formula for diamonds is pure carbon. Its structure consists of a series of five atom units bonded together. Many diamonds however have quirks in their crystal. 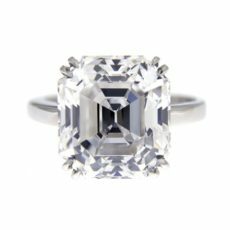 There’s much to love about a diamond’s brilliance and fire, just as there is plenty to adore about their color and clarity. Sometimes a person finds the diamond of their dreams but are unable to find the perfect mount. On other occasions, someone may want a new gemstone to freshen up a piece of jewelry with deep meaning, like designer engagement rings. 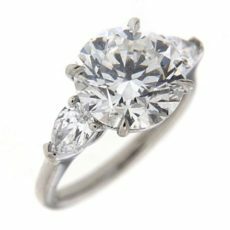 When browsing for loose diamonds for engagement rings on valentinmagro.com, you’ll find a chart listing each diamond’s traits. 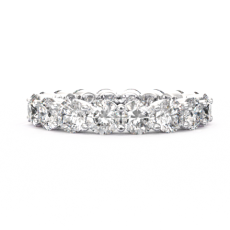 The Four Cs of carat, color, cut and clarity are listed, as well as shape and certification. 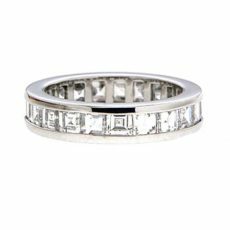 Diamond bands convey many ideas. They showcase the gem’s beauty and artisan’s skills. As engagement rings, romantic symbols fill every part of the band. This is even more true of heart engagement rings. 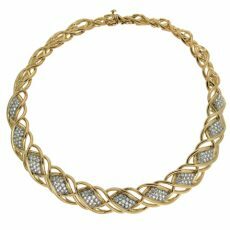 Though diamonds have been coveted since the time of the Roman Empire, they weren’t always beloved for their brilliance. The immense hardness of diamonds, in addition to giving them powerful durability, also means that cutting and polishing is difficult without specialized tools and technology. 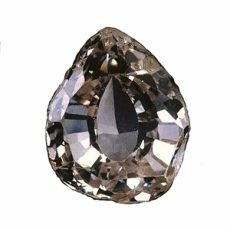 Without careful faceting to highlight the stone’s optical properties, early diamonds had dark interiors and only shone on their surface. 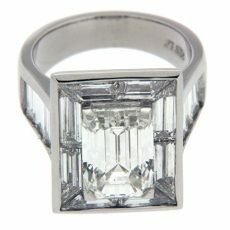 Princess cut diamonds are square shaped stones introduced in 1979. When viewed from above, they feature a brilliant X pattern. Their design helps them stand out from brilliant cuts. 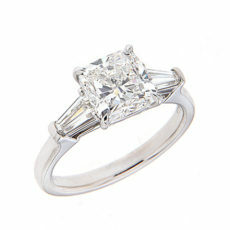 Princess cut diamond rings are second in popularity only to round brilliants. 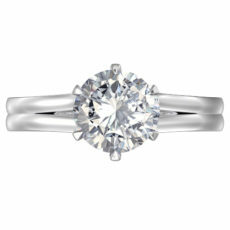 There are many ways diamond rings catch the eye. Sometimes it’s unusual color or a skillful cut. Designer engagement rings and wedding bands can make an impression through the use of little gems. Their size allows for a wealth of styles. 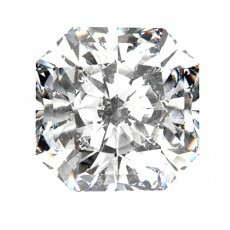 The round brilliant diamond is one of the most popular of all diamond cuts. 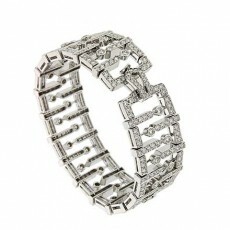 It’s a cut of choice for engagement rings, wedding bands, pendants and any other jewelry one can imagine. 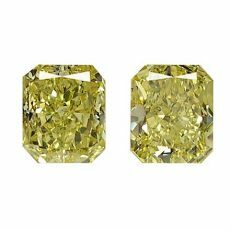 There is no single way to create a round brilliant, though jewelers are constantly experimenting with proportions, ratios and facets to create the brightest possible diamond, or an ideal cut. Colors are pleasing to eye and often bring joy to the heart. However, every other color pales in comparison to the brilliance of gem stones that sparkle and shine along with displaying an ethereal hue. 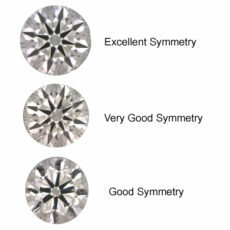 A well-made diamond is symmetrical, has balanced proportions and a strong polish. The round brilliant has more exacting cut guidelines than others. Some manufacturers may promote their round brilliants as “ideal cuts,” with tweaks that make them exceptionally bright. 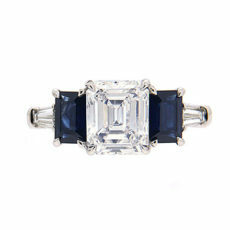 When people think of square diamonds, princess cut diamond rings come to mind. 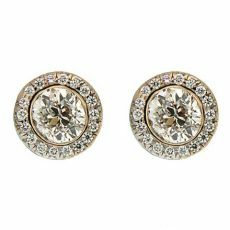 They’re beloved for many reasons, including a sparkle that differs from the round brilliant. Princess cuts are not the only square diamonds. To prevent confusion, here are some key differences. All that glitters is not gold, and that applies to diamonds as well. How can one tell apart a real and a fake diamond? There are 4 standard ways of telling this. Diamonds are admired for their beauty and the way they interact with light. While discoveries of new deposits and advances in mining have increased availability of the jewel, there are times people may wear jewelry with pretend diamonds, also known as simulants. 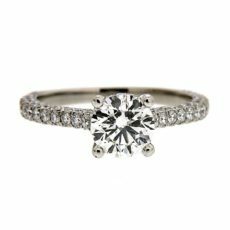 Diamond simulants are created when people desire sparkling but inexpensive jewelry, for security purposes, or to replicate a well-known jewel. 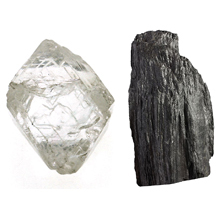 No matter how closely a simulant resembles a diamond, there are still ways to distinguish real from imitation. It’s not uncommon for diamonds to have other materials within their crystal large enough to be viewed at 10X magnification or even with the naked eye. Depending on the nature of the included stone, it may be catalogued differently. 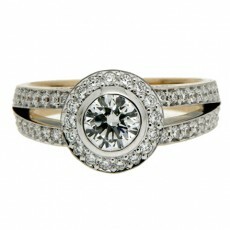 Round brilliant cut diamond engagement rings are the most sought after of diamond bands. There was no brighter diamond before it. Many previous cuts, such as the single cut, aimed to provide greater brilliance. 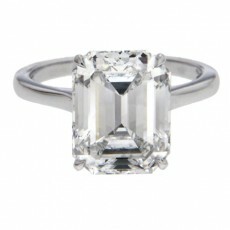 Of the round brilliant’s predecessors, cushion cut diamonds are still made today. When looking for stones for your diamond rings, you’ll often hear the word “cut.” Squares, hearts and ovals may come to mind, but a diamond’s shape and cut are not the same. The former is the outline of the jewel. Scintillation is the play of light and dark in diamonds. It’s one of the qualities gemologists look for when evaluating the jewels. As with brilliance, it’s a major component to a diamond’s beauty. 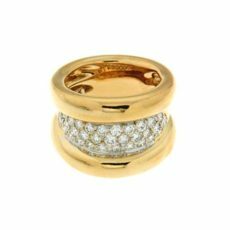 Diamond rings’ scintillation changes as their wearers move, delighting the eye. To transform a diamond from a piece of rough to a masterpiece of brilliance doesn’t happen immediately. This is partly due to diamond’s hardness, which makes cutting a challenge. 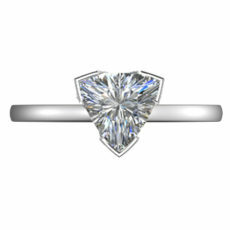 Diamonds are the gem of choice for engagement rings, wedding bands and other jewelry. Before they appear on your hand, diamonds spend countless years taking shape. They pass through many steps until they’re ready for you. 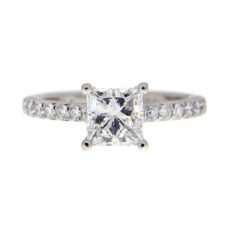 Knowing the effort that goes into diamond rings makes them all the more precious. Larger diamonds are rarer than smaller ones. Cutters strive to preserve as much carat as possible while highlighting the jewel’s best characteristics. 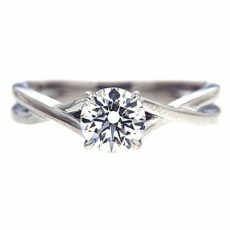 In many instances, the final cut follows the outline of the rough, keeping more of the stone intact. The rose cut is one such example. 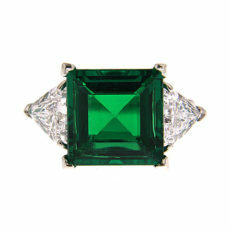 Emeralds are one of the most popular colored gemstones. While they are beautiful, they’re also fragile. Diamonds are much harder, but still have vulnerable aspects. 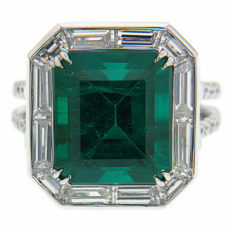 The emerald cut benefits both stones. The earliest diamond cuts bear only the faintest resemblance to diamond cuts today. 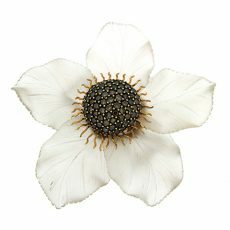 A combination of limited technology and differing tastes impacted the brilliance of the jewels as well as their shape. Most diamonds mined lack the quality necessary to become gemstones. They’re used for industrial purposes which take advantage of the many unique properties of the stone. 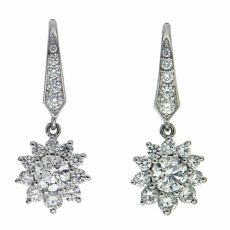 In addition to its intense hardness and optic properties, there are other traits, including how diamonds interact with heat. Diamonds are famed for the way they interact with light. 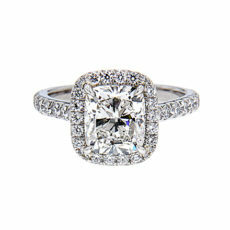 Diamond engagement rings are prized for their symbolism and the way they sparkle. How the diamond is cut influences how light interacts with the stone. Fancy color diamonds are rare. For every ten thousand diamonds mined, there is one Fancy diamond. Some hues, such as brown or yellow, are relatively common, while others like blue are less available. Many gemstones, including diamonds, form under drastic conditions within the earth, often as a result of intense heat or pressure. The circumstances of their creation can be found within their crystals as clarity characteristics. Common diamond shapes on engagement rings include circles, hearts and squares. 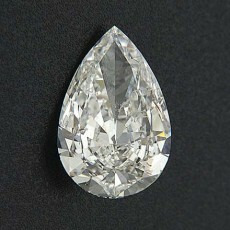 Triangular diamonds also appear, but are overshadowed. 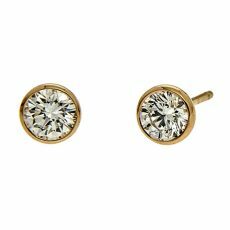 They can be either brilliant or step cut, side stone or central diamond. Their shape may also be good for the budget conscious. When most people picture diamonds, they imagine transparent colorless jewels. Diamonds in their purest state have no discernable hue. Most however contain traces of nitrogen, which may add subtle coloring to the crystal. With single pointed edge and rounded end, the pear shaped loose diamond stands out among the traditional crowd of round and princess cut diamonds. Also called ‘teardrop’ diamond for its unique appearance, this distinctively shaped diamond is a popular choice for both connoisseurs and investors. When shopping for beautiful diamond rings, people want to be sure they’re getting what they were promised. Many diamonds have documents confirming their condition. Not all certificates are equal however. Third party laboratories known for excellence are the most reliable. For early diamond cutters, the stone’s supreme hardness made diamonds tricky to shape. The invention of the scaif in 1496 used a wheel not unlike potter’s wheel, covered the surface with a mixture of oil and diamond debris, and clamps to hold diamonds against the wheel. 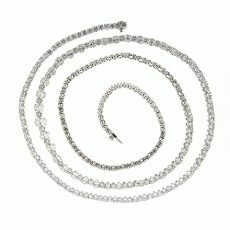 This allowed multiple diamonds to be polished at once, as well as allowing cutters to fashion jewels with greater precision than before. While some jewelers strive to create new cuts and designs, others enjoy improving classics. 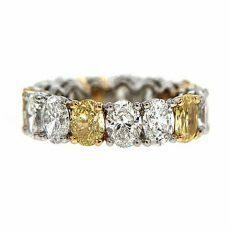 Antique cuts are updated with greater brilliance, and older bands are altered to appeal to current tastes. The most coveted gemstone, diamond is steeped in interesting facts galore. We are so much lured by its dazzling beauty that we forget to see beyond it. 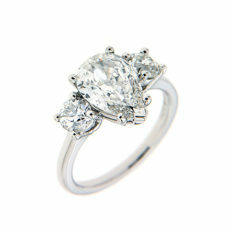 When it comes to diamonds, value translates into rarity. With diamonds belonging to the common range, value is determined by the absence of color, as colorless diamonds are usually also the rarest. However, colored diamonds follow a completely different rule. 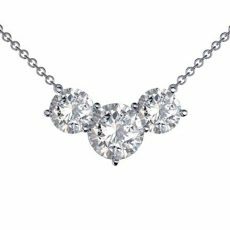 As lovely as diamonds are when set in jewelry, some people prefer to buy diamonds that are loose, or unmounted. 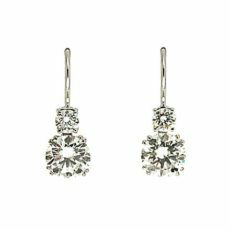 Loose diamonds may be purchased with an eye to placing them in a mount later on, or in a piece of jewelry they already own. Diamonds are gemstones millions of years in the making, formed under intense heat and pressure 75 to 120 miles beneath the earth’s surface. The supreme hardness of diamonds meant that the first diamond cuts mostly involved cleaning and evening the sides of the rough. The Mughal cut was used in India during the 16th through 18th centuries. Rather than shaping the diamond to underscore its brilliance, this cut followed the lines of the original rough. In an effort to meet demand, mining companies are making greater efforts to find stones measuring one hundred carats or greater. This has included reopening the Letseng diamond mine in Lesotho. Finding the right gem can be tricky. 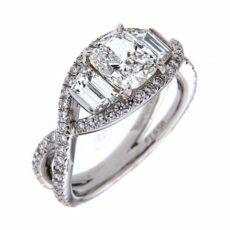 Many people want to buy quality diamond rings, but may not know what to look for. Diamond certificates attest to a stone’s traits. They outline the major factors of the jewel, including weight and color. Reports also help distinguish gem stone from another.